Drama/Romance, France/UK, 1979, 190 min. 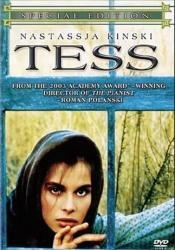 Synopsis Peasant girl Tess Durbeyfield is sent to live with the wealthy d'Urbervilles by her father after he learns that they are distantly related. However, the d'Urbervilles are not relatives, they're just a family that bought the noble line's name.